Complete your weddding day plans by booking one of our astounding vintage wedding cars today. 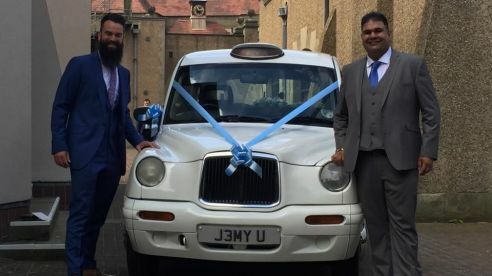 Here at Charlesworth Classics Ltd, our attentive, uniformed chauffeurs will ensure your journey is both special and enjoyable. 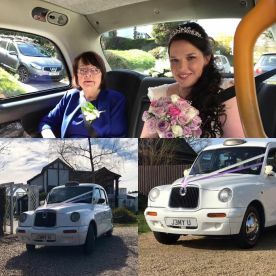 All vehicles come with bride and groom umbrellas, just in-case its one of those wet days, ribbon to match your colour theme and silk flower arrangement for the rear window display, all included in our hire price. Conveniently located in Hatfield, with a great choice of vehicles, there's something for everyone. Why not get in touch with us on 01707592020? We offer a great range of vehicles and packages to suit almost every situation. 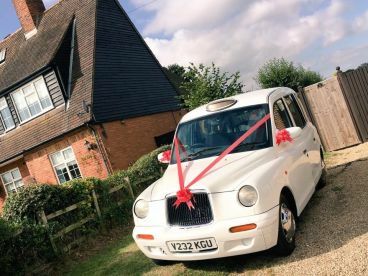 Choose from a vintage London taxi or vintage Rolls Royce - whatever you pick, we guarantee you'll be travelling in style. Our vehicles look fantastic in photo shoots too; we guarantee it'll be a hit with your guests! We won't be beaten on price, and we're always happy to discuss special requests, such as wheelchair-accessible vehicles. Just give us a call – we're here to help. Having your own dedicated driver means you can rest assured that you'll arrive on time, and get where you need to safely, every time. Our professional drivers have years of experience as well as many of them having advanced driver training, so you know you are in very capable hands. Our excellent service, pristine fleet of cars and competitive prices mean there's an option to fit most budgets. Cars beautifully turned out. on time. drivers relaxing approach have made the whole experience flawless. No stress at all!. high recommend to other parents of the bride! Please note that Charlesworth Classics Ltd may not be able to honour booking requests made.